The early signs of the global recession are already starting to show in the cruise industry with Princess Cruises slashing their "lead in" price on their luxury cruise ship, the Diamond Princess. The 12 night sailing from Sydney to Auckland, starting on the 10th of December has had its rates slashed by up to a massive 68%. With twin interior cabins starting from $1,108 per person it has never been cheaper to experience premium cruising at it's best. That's less than $100 a day! 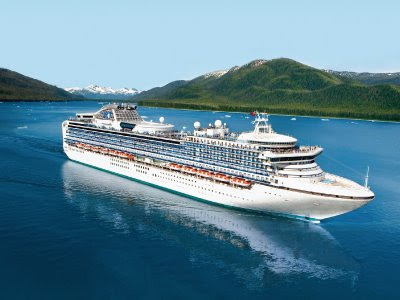 The Diamond Princess is a premium cruise product. Sitting 18 stories high and the length of 3 and a half football fields you will cruise in comfort and style. One of the signature features of the Diamond Princess is it's Anytime Dining option. If you choose Anytime Dining you can choose to dine with whom you like, when you like in one of four different restaurants onboard. If you prefer traditional dining, the Diamond Princess can do that too with both first and second dinner options available. Tonga Cruise on Sale now!